Knowing Acme Screw Corporation's reputation for complex jobs that save client's money, a customer in the electrical industry came to us in need of precision metal forming of a 1022 steel terminal. The formed end was originally a stamping, welded onto a threaded rod. 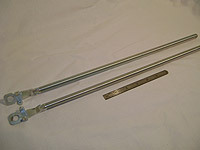 We formed the stamping by upsetting the end of a .445" diameter rod in order to obtain a cross shape after flattening. We then pierced the hole and trimmed excess material prior to bending up the ears, which was done with in-process induction annealing. The parts were threaded, and finally finished with zinc plating and hexavalent free clear chromate. The thread was ½-13 UNC 2A. 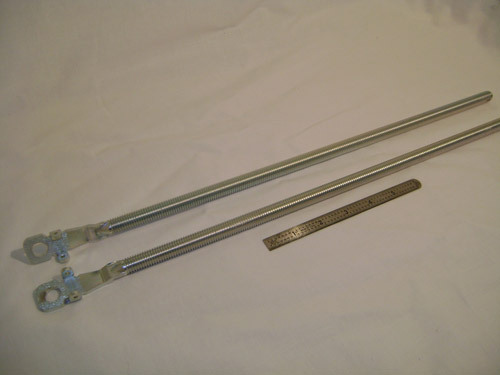 The length of the steel terminal measured 13.360" and the width was .980", maintaining tolerances of +.000/-.004". Upon completion of all processes and receipt of the part, our client found that we saved them a significant amount of money. We also met all of their needs and executed the job flawlessly. For more information on this project, or to find out about our other cost-saving products and services, please contact Acme Screw Co. Overall Part Dimensions Length: 13.360"